What’s the Average Cost of Workman’s Compensation Insurance? In some states, it may be impossible to determine the average cost of workman’s compensation insurance. Why? Some states utilize experience mods or ratios from the National Council on Compensation Insurance, Inc. or NCCI where other states—if only a few—utilize their own state policies every business owner must apply to. First off, states that must participate in workman’s compensation insurance provided by state and territory governments include Ohio, Puerto Rico, North Dakota, the U.S. Virgin Islands, Washington, West Virginia and Wyoming. Employers in these states should contact their state’s department of insurance to obtain information on insurance costs, job classification codes, modifiers, and reporting. The other states either allow employers to utilize a private insurance company or provide a state-operated workman’s compensation fund where the employer can choose the least expensive option. For those lost on how workman’s compensation rates are calculated, a good place to start is at the NCCI website. They offer a brochure download (link in reference section) explaining elements of workman’s compensation calculations including experience mods, job classification codes and multiplier ratios with examples. The US Government Bureau of Labor Statistics offers, “Total employer compensation costs for state and local government workers averaged $40.54 per hour worked in March of 2011.” The private sector average $30.07 per hour worked as of March 2011. This would mean a small business owner employing twenty people working 40 hours per week should expect to pay around $25,000 for an annual workman’s compensation policy. However, the average cost of workman’s compensation insurance often depends on the type of industry, job code classification and your experience mod. In every industry, the NCCI offers four digit job classification codes with modifiers based on annual salaries. 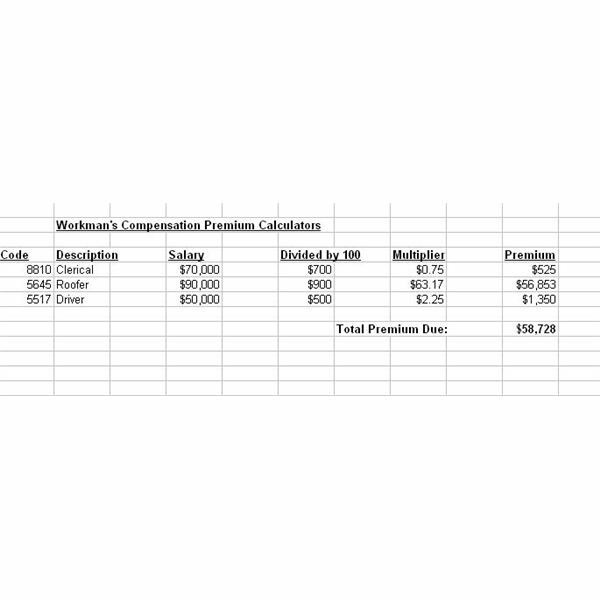 For example as shown in the screenshot below (click to enlarge), a company employing an executive, a roofer and one driver will have a premium of $58,725 annually. Here, the roofer’s experience mod is very high at $63.17 compared to the executive where it’s only $0.75. So indeed, the type of industry and job does dictate the price of policy premiums. The next exciting part of workman’s compensation is the injury experience ratio for a company. If our company above paying $58,725 annually has no injuries in three years prior to the current year, chances are their experience ratios and multipliers will remain the same or adjusted only slightly based on payroll increases. On the other hand, if the company’s prior three years (not current year) does indeed have injuries, depending on the expense and payouts for the injury, their premiums may even double if the policy pays large amounts to get the employee back to work such as surgeries, doctor visits, MRIs, medications, travel and compensation. If your company is new, the insurance carrier will either base your experience ratios on the last three years of the prior owner if an existing business, or if a new business, assign a ratio based on type of industry until the company has enough history to modify the ratio. Some private insurance carriers will deny or stop coverage if they determine your injury rates and costs are too high. In instances such as these, often the only choice the employer has is to contact the state insurance board to inquire about state pool coverage which can be very costly—but as having workman’s compensation is a law to protect your employees, if this happens to you, you may have no other option. Employers also need to shop their coverage each year to determine if they’re getting the most affordable policy, although your experience mod and ratio report will follow you when obtaining new bids. 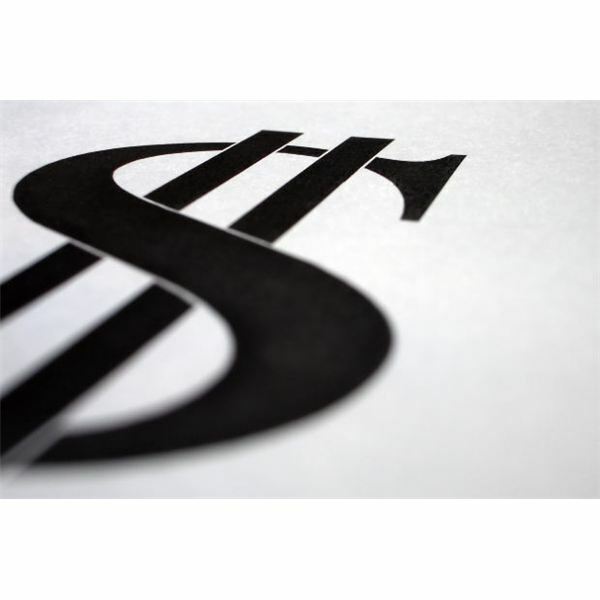 There are ways employers can keep premium amounts down. 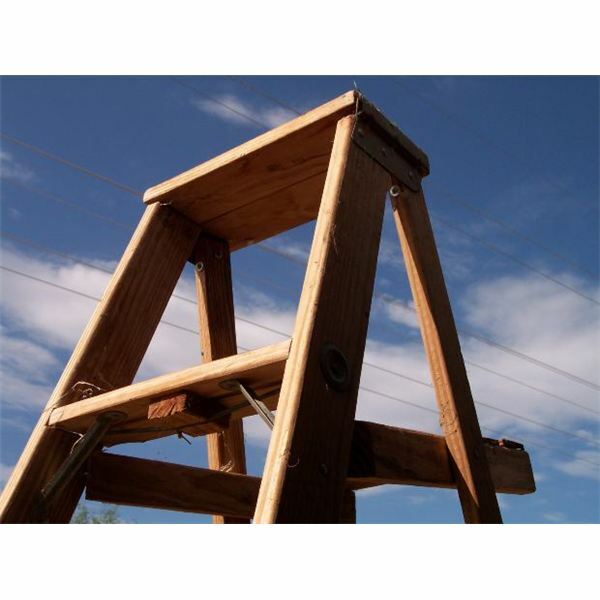 First, implement an OSHA approved safety plan and hold timely meetings. Post signs on how to stay safe on the job as well as detailed instructions on how to perform a task or utilize equipment—even copier machines. First aid kits and eye wash stations along with protective equipment for the body are also essential. OSHA also requires a company keep material data safety sheets (MSDS) on any chemicals that describe the chemical make-up and first aid procedures. 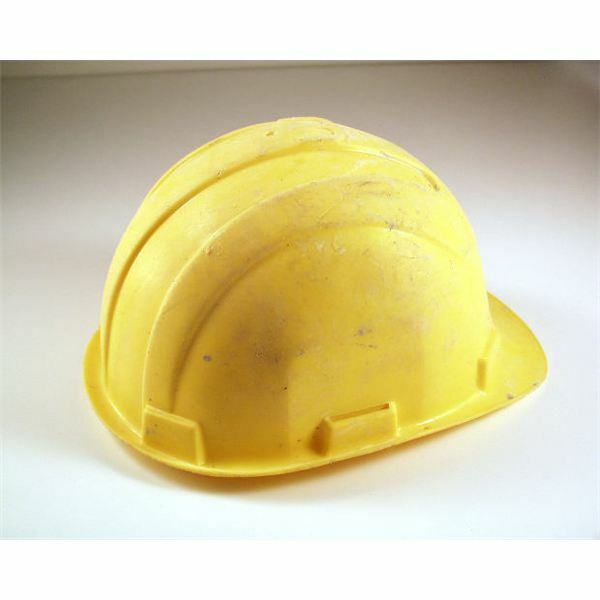 Some companies offer incentives for so many days without injuries such as construction sites or factories. Implement these if you can and include incentives like a catered lunch or a paid half day off. Every workman’s compensation carrier, whether they are private or state operated, offers safety videos and example policies and procedures to help you implement a great safety program. OSHA also offers tips on how to create a safety plan for free. If you want to determine the average cost of workman’s compensation insurance, your best bet is to visit the NCCI website, classify your workers using the correct codes, determine salaries and use the suggested modifier to determine an annual premium for each. Add the total premiums for all employees to obtain your annual premium. Keep in mind, however, that averages aren’t quotes or guarantees—only a private insurance carrier or state operated fund can offer the actual annual amount you’ll pay to cover all your employees while on the job.